“Celebrating 30 Years of Black History, Culture and Art” is the central theme of the Savannah Black Heritage Festival scheduled for February 1-21, 2019. Cultural education and exposure to the performing and visual arts are offered for all ages and interests throughout the celebration. Special programs and activities during this festival will serve as tribute to the late Westley W. Law, the founder and former organizer of the Savannah Black Heritage Festival. Included on the schedule are national, regional and local musicians of many genres, dance performances, a local youth talent showcase, historic tours, visual arts exhibitions by internationally acclaimed and local artists, the W.W. Law Lecture and theatre productions. In addition to educational opportunities for youth through special programs and a health and wellness fair, a special walk and tour will trace the footsteps of W. W. Law along his U.S. Postal route in Savannah. The 30th anniversary festival opens with a chorale concert and a dance performance. “Songs of Freedom and Justice” will include performances by the Savannah State University (SSU) Concert Chorale, SSU alumni, faculty and friends, Sunday, February 3, 3 p.m., Butler Presbyterian Church. 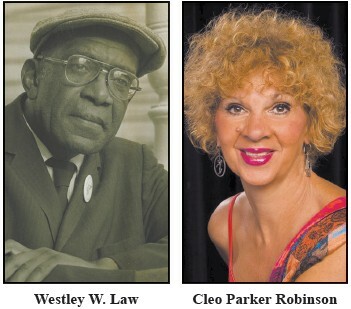 On Wednesday, February 6, 7:30 p.m., a premiere evening performance by the Cleo Parker Robinson Dance Ensemble of Denver, Colo., will be held at the Johnny Mercer Theater. The dance company returns for its third appearance in Savannah, and the performance is free and open to the public. Admission tickets for the dance will not be required as seating will be on a first-come, first-seated basis. There will be a limited reserved-seat section for military families and seniors; however, these seats will be released 10 minutes prior to curtain call.